Demystifying the effectiveness of a restraining order. attempting to cause or causing physical harm; placing another in fear of imminent serious physical harm; or causing another to engage involuntarily in sexual relations by force, threat or duress”. Generally, the protections afforded under G.L. 209A are limited to family or household members. In this context, those are persons who are or were married to one another; are or were residing together in the same household; are or were related by blood or marriage; or by having a child in common regardless of whether they have ever married or lived together; or are or have been in a substantive dating or engagement relationship, in light of the length of time of the relationship; the type of relationship; the frequency of interaction between the parties; and if the relationship has been terminated by either person, the length of time elapsed since the termination of the relationship. While at its inception a restraining order may not appear to be a strong deterrent, in part because it is the result of a civil action leading to a court order that has no more weight than the paper it is issued on, violation of the order becomes a criminal offense and carries serious consequences. In these kind of proceedings, where usually all evidence is limited to the testimony of the parties, credibility is paramount. An applicant who is not credible will have a hard time obtaining an order, while a very credible applicant with the same set of facts is more likely to obtain it. Once the Court finds that the applicant has shown that he or she meet the threshold, the Court will order the Defendant to do a number of things, which may include vacate the marital home, remain away from the applicant and his or her children, refrain from contacting the applicant by any means, pay support to the applicant, surrender his or her weapons, etc. It is important to remember that a judge may order child support and spousal support with this order, and it is not necessary for the applicant to also initiate an action with the Probate and Family Court. While the spirit of G.L. 209A is, whitout a doubt, to protect victims of abuse, the reality is that a protection order is not always the most effective tool, and only survivors of domestic violence, often supported by domestic violence advocates, are the ones capable of determining whether the perpetrator in this case would actually be deterred by the order, or he or she would completely disregard it and it would only act as a catalyst, triggering a dangerous escalation. If, and when, a survivor obtains a protection order, it is really important that the community surrounding the survivor remain supportive. This may take the form of an employer that increases facilities safety, or offers special accommodations such as time off allowances to attend court proceedings, or any other measure geared towards making it possible to continue a daily life with an extra layer of safety and support. At home, neighbors are the perfect ally, remaining vigilant, ready to contact law enforcement. In sum, while a survivor bears the burden of securing a protection order at the initial stage, it is important to understand that the survivor’s close community, and ultimately, even bystanders, play a significant role in ensuring that this order serves its purpose. Eliminando los mitos de la efectividad de una orden de proteccion. El capitulo 209ª de las leyes generales de Massachusetts provee que una persona puede solicitar, y recibir una orden de protección si puede mostrar que el o ella necesita protegerse de abuso. La ley define abuso, en forma amploa, como la ocurrencia de uno o mas actos – entre miembros de una familia o nucleo familiar [que incluyen] el intentar causar o causar daño físico, hacer que alguien tema sufrir inminentemente serio daño físico, o forzar a alguien a participar en relaciones sexuales, ya sea bajo amenazar o coaccion. Generalmente, las protecciones ofrecidas por la ley 209ª están limitadas a la familia o miembros del nucleo familiar. En este contexto, esas son personas que están o han estado casadas, o están o han estado residiendo juntos en el mismo hogar, o esta o estuvieron relacionadas por sangre o matrimonio, o por tener un niño en común, mas alla de haber estado casados o haber vivido juntos; o están o han estado involucrados en una relación de noviazgo o como prometidos, a la luz de la duración de esa relación, el tipo de relación, la frecuencia con la que interactuaban, y si la relación ha sido terminada por una de las personas, el tiempo que ha transcurrido desde que al relación fue terminada. Mientras que al momento de su incepción, una orden de protección puede no verse como un freno de cuantia, en parte porque es el resultado de una acción civil que conduce a obtener una sentencia de la corte, la que no tiene mas peso que el papel sobre el que sue emitida, pero cuya violación se convierte en una ofensa criminal y acarrea serias consecuencias . En este tipo de casos, donde la evidencia presentada generalmente esta limitada al testimonio de las personas, la credibilidad es un factor fundamental. Un solicitante que no tiene credibilidad tendrá dificultades para obtener una orden de protección, mientras que una persona con mayor credibilidad, en presencia de los mismos hechos, tiene más posibilidades de obtenerlas. Una vez que la corte concluye que el o la solicitante ha mostrado que satisface los requerimientos de la ley, la corte puede ordenar que el acusado cumpla con un numero de requerimientos, tales como abandonar la casa de la familia, permanecer alejado de la solicitante y sus hijos, evitar contactar a la solicitante por ningún medio, pagar manutención, entregar las armas que poseyera a las autoridades, etc. Es importante recordar que un juez puede ordenar que se pague manutención para los niños y el o la cónyuge, por lo que no es necesario que la solicitante inicie una acción en el tribunal de familia. Mientras que el espíritu de la ley 209ª es, sin lugar a dudas, proteger a las víctimas de abuso, la realidad es que una orden de protección no siempre es la herramienta más efectiva, y solo los sobrevivientes, a menudo en colaboración con su consejero de violencia doméstica , son los que están en mejores condiciones de determinar si el abusador en este caso será desalentado por la existencia de la orden, o por el contrario, va a ignorar la orden, y esta solo sirve para desencadenar mas peligro. Si, y cuando, un sobreviviente obtiene una orden de protección, es realmente importante que la comunidad que rodea al sobreviviente permanezca proveyendo apoyo. Ese apoyo se manifiesta de distintas formas. Un empleador puede mejorar las medidas de seguridad de sus instalaciones, o concede tiempo libre para poder concurrir a las audiencias, o toma cualquier otra medida diseñada para hacer posible que la vida diaria tenga una capa mas de protección y apoyo. En la casa, los vecinos son los aliados perfectos, permaneciendo vigilantes, listos para contactar a las autoridades. En suma, mientras que es la sobreviviente la que tiene la responsabilidad inicial de obtener una orden de protección en la etapa inicial, es importante entender que la comunidad que rodea a la sobreviviente tiene un rol fundamental, tal y como aquellos que son simples espectadores. LEOMINSTER — Family, friends and survivors gathered Friday evening to mourn the lives of three women who were killed in the course of intimate-partner violence. Ruiz works at the Spanish American Center to help women and men in situations of domestic abuse. She was one of several people who spoke to about 30 people gathered for the vigil at Riverside Village Apartments, where Sonia Rios, 42, of Leominster, was murdered on July 23. Corrinna Santiago, 42 years old and a mother of two young women, was killed in Leominster less than two weeks before, her body found when a man reported hurting her during an intimate encounter at his home. The third victim honored at the vigil was Tiana Notice, whose mother stood to share the story of how James Carter Jr. killed her daughter, stabbing her 20 times after she tried to leave him to escape the abuse. “He decided if she’s not going to be mine, I’m going to make sure she doesn’t end up with anyone else, and that’s exactly what she did,” said Kathy Lewis. Lewis said her daughter, a Fitchburg State University graduate who lived in Connecticut, was killed in 2009 when she was just one semester away from earning a master’s degree in political science from University of Hartford. Notice wanted to become a congresswoman. Audience members fought back tears when Lewis said police could have prevented her death. Connecticut officers in Plainville, Waterbury, and Bloomfield didn’t arrest Carter when Notice told them on multiple occasions that he had repeatedly violated retraining orders taken out against him. “It was a conscious decision they made, they chose not to help my daughter,” said Lewis. Before Lewis spoke, Irene Hernandez, who sits on the YWCA board of directors, addressed the crowd. Hernandez said she survived an abusive relationship with a man who held a gun to her head before she was able to escape to a shelter with her two young daughters. 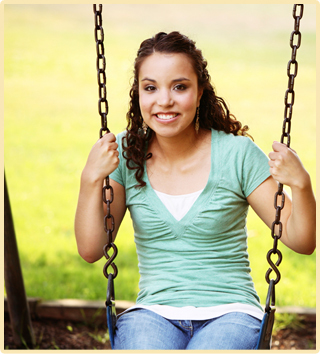 Years before that, when Hernandez was a child, she watched her mother suffer similar abuse. “I remember my pregnant mother being sliced from the back of her ear down to her neck, being stripped naked and beat,” said Hernandez. Domestic and intimate partner violence, Hernandez said, is cyclic, forged from a history of slavery and mass violence that has been handed down from generation to generation. “The cycle of violence in our homes, around our children on TV, in our communities, wherever it is affects our children,” said Hernandez. Through tears, Hernandez said society must stop judging victims of domestic violence who remain with their abuser. Escaping, she said, seems like an impossible feat when all you can do is focus on making it through the day. “Stop judging those victims of domestic violence. Love them, affirm them,” she said. “I think we are missing that. She named the women who were killed, then led the audience in two minutes of silence to honor Corrinna Santiago, Tiana Notice, and Sonia Rios. “Let us remember these women that these women were worthy, and their lives have honor,” said Hernandez. 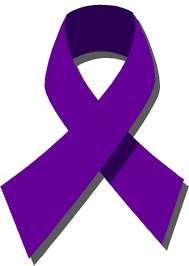 The Domestic Violence Service Counselors provide a structured community-based approach to domestic violence services, by assisting domestic violence victims and their families, and advocating for them. The services include assistance with restraining orders, filling out legal and court documents as well as other forms, providing individual and/or family counseling, and making appropriate referrals. Domestic violence advocates are employed at the Spanish American Center. 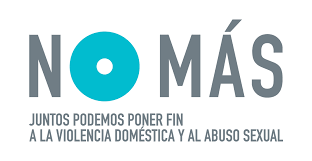 Due to the confidential nature of domestic violence intervention, and to protect the safety of both our clients and staff, we ask that you telephone our main number and ask to be connected with the domestic violence program in order to initiate services. LEOMINSTER — A woman walked into the Spanish American center last month seeking freedom from her live-in boyfriend, who was also her abuser. With the help of counselors she hit the phones, called around to area shelters and lobbied for a bed away from the threat of physical violence. She carried a small notebook, into which she’d jot down names of each housing official, each advocate and each social services liaison she spoke to. By the end of the week the notebook was full, but the woman still didn’t have a safe place to live. 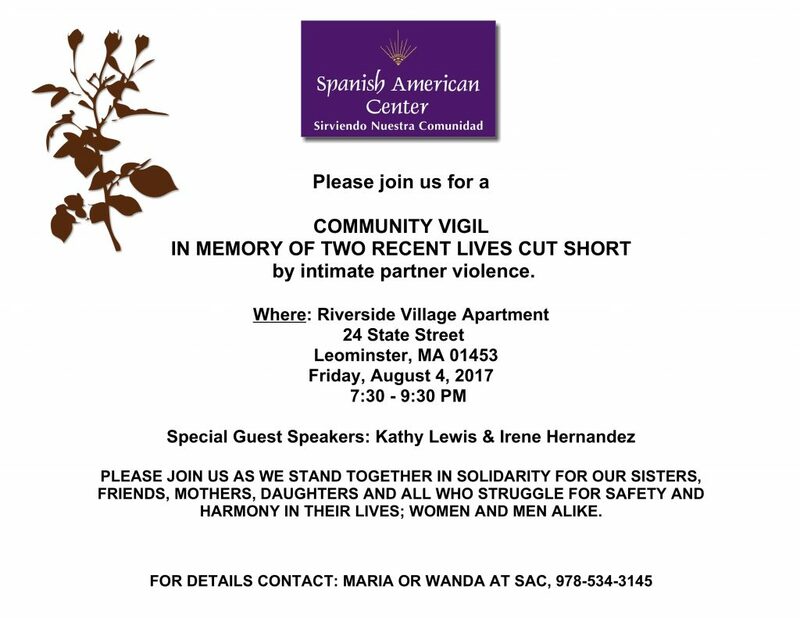 “Those are the cases, those are the situation that break your heart,” said Neddy Latimer, executive director of the Spanish American Center, Thursday at the center alongside her two domestic-violence counselors, Wanda Ruiz and Maria Alicea. Latimer said for want of safe and affordable housing far from the reach of abusers, she’s helped relocate women as far away as Puerto Rico. Advocates in the Twin Cities say more people are coming forward for help accessing safe housing, the job market and navigating the legal system as they try to escape situations of domestic abuse. In Leominster, 383 protective orders were filed citing domestic abuse in 2015. The following year, that number jumped to 558. Many survivors, said Amarely Gutierrez Oliver, director of YWCA Central Massachusetts domestic violence programs, avoid the legal system, so the snapshot represents only part of the picture. When a person walks through the door of advocacy organizations like the YWCA and Spanish American Center, two primary local organizations working directly with domestic abuse survivors, it sets off a chain of events, starting with finding a temporary place to stay while a network of advocates start developing a safety plan. Still, demand for beds at YWCA’s two regional shelters always outpaces supply. From month to month, Oliver said at lease 50 people who request a bed aren’t able to get one. “We’re always full, there’s only enough time to turn a room before a new family or individual is welcomed,” said Oliver. Last month, the shelter didn’t have room for 120 people, many of whom were ultimately were taken in by family, friends, or one of the very small number of hotels willing to contract with local advocacy organizations to house survivors. As Leominster police’s civilian domestic abuse advocate for the past five years, Lesly Borges manages each case reported to the department. She spends each day listening to survivors and coordinating services with City Hall, shelters and area advocacy organizations. Domestic abuse, she said, is becoming more common in Leominster. She suspects the uptick could be tied into the tough economy. “The economical situation is getting worse for a lot of people, and housing is one of the issues,” she said, adding that when a survivor does leave a relationship the person often has to find a new apartment, which she said can be difficult for a single wage earner in Worcester County, where just 41 units of “extremely low income” housing exist for every 100 families who qualify, according to the National Low Income Housing Commission. The public’s awareness of the services available through organizations like the YWCA and Spanish American Center is also increasing demand, said Alicea. The compromise state budget agreed on by house and senate lawmakers shows funding for domestic violence and sexual assault treatment and prevention services in fiscal 2018 would stay nearly flat over last year despite the rising need seen in communities across the state, said Jane Doe Inc. spokesperson Toni Troop. “Local programs have identified a tremendous need that is not going to be covered by state funding,” said Troop. 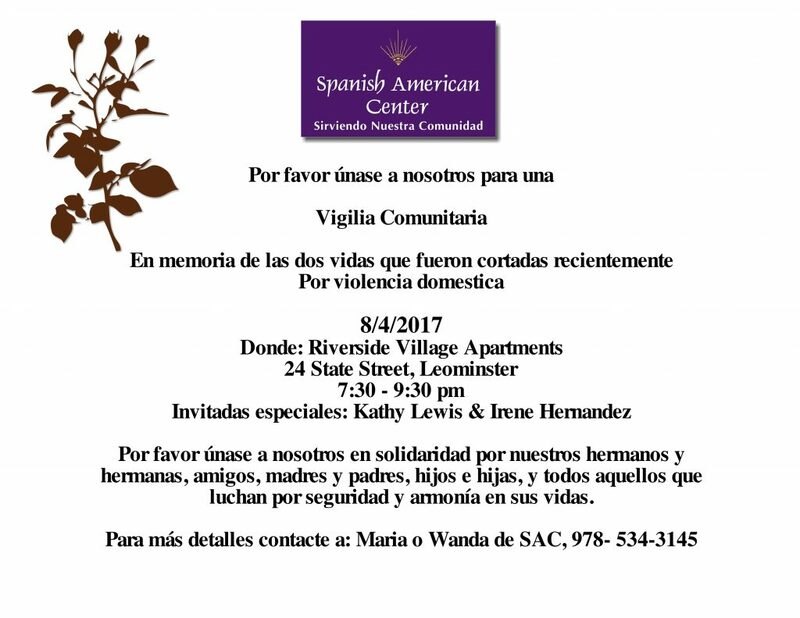 LEOMINSTER — Staff of the Spanish American Center are hoping to increase their ability to help victims of domestic violence with a grant for more than $220,000 they recently received from the state Department of Public Health. “We are so pleased because we have been running this program the longest, at least 40 years and we have seen it all. This money is very critical to us because what we see is so really bad,” said center Director Neddy Latimer. Although the center has been awarded this grant in the past, Latimer said the amount of money they were given is among the largest they have ever received from the state. This year’s amount represents and increase of more than $30,000 over last year’s grant, which Latimer and domestic violence support staff hope will allow them increase their outreach capabilities and develop more services for children. As staff member Maria Alicea explained, the funding is so crucial to the domestic violence program because there are so few other resources for victims in Leominster and Fitchburg. The Spanish American Center offers a variety of resources to domestic violence victims from basic counseling to more specialized services. Center staff work to find shelter locations for individuals trying to flea from abusive homes, but also help victims with finding the permanent residences and employment they need in order to live more independent lives. Staff members are also bilingual, which makes the process that much easier for residents who don’t speak English as their first language. As Alicea explained, many of the individuals she and Ruiz work with are immigrants who might be less inclined to seek out help from people who aren’t able to easily communicate with them. Click their WEB Link for detailed resources throughout Massachusetts.